Has messed up my new laptop that is running Windows 10 . It put the computer in a loop when you turn off where it tries to install, fails the install and uninstalls making boot time take about 8 minutes. I have gone into services and stopped Microsoft Updates as a temporary measure to stop this annoyance. Although I do want other updates so this is just a short term solution until I research this more. San Francisco Ravaged by homeless, made difficult by Congestion. The last 5 years in San Francisco, the city has had huge increase in homeless population, followed by large displacement of middle class all the while catering to the super wealthy. I find this as an example of how poorly average San Franciscans are treated by their political class. SFMTA = San Francisco Municipal Transportation Agency. With friends like these who needs enemies. Capitalism-Notes From Voice File Poem. I Believe Uber In The End Will Go Bankrupt. I am of the personal belief that in the end Uber will go bankrupt . I believe they are losing money on every ride they give. 1945 was the year the “New World Order ” came into being. The new bi-polar world of the Communist block led by the Soviet Union vs the Capitalist block led by the USA. The Germans and Japanese had been defeated in their attempt to becoming major powers and reorder the world to their liking and the productive capacity of the USA and Soviet Union came to the fore and defeated the axis powers. Germany although fighting well was no match for the Allies and was crushed and destroyed. A thing that has ramifications to this day. The Soviet Union doing the heavy lifting of the war survived but was badly damaged. driving cab 5 days a week now. I need more days off or this current work situation is going to grind me into the ground. Slowly everything in the city (San Francisco) disappears except for large empty condo buildings. Capitalism pursues it’s anti human policies of clearing out the working class and filling the city with empty condominium buildings. Well just a few updates. 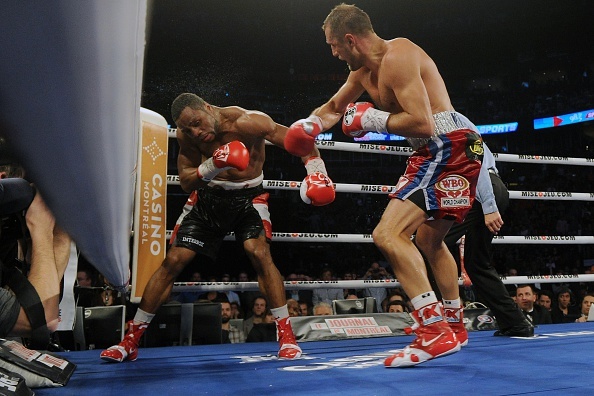 Light Heavy Weight Champ Kovalev destroyed Jean Pascal in their Championship match. The fake economy looks like it is coming to end here in the Bay Area. After about 3 years of fake companies pushing massive stock moves with minimal earnings, some of the companies are starting to crater like Twitter (TWTR) and Linkedin(LNKD) all these companies are extremely overvalued. Now we cross our fingers and wait for the mother ship of overvalued Facebook to lose 50-75% of its extreme overvaluation. Sergey Kovalev rapidly becoming one of my all time favorite fighters. No one will ever replace Ray “Boom Boom” Mancini in my eyes as my favorite fighter of all time though. steven taylor on “Had” been out running the flu. NYC taxi photo on “Had” been out running the flu.